Sydney Shop Girl: Australian Print Media: Then and Now. 'Cuba on the Edge of Change'. Australian Print Media: Then and Now. 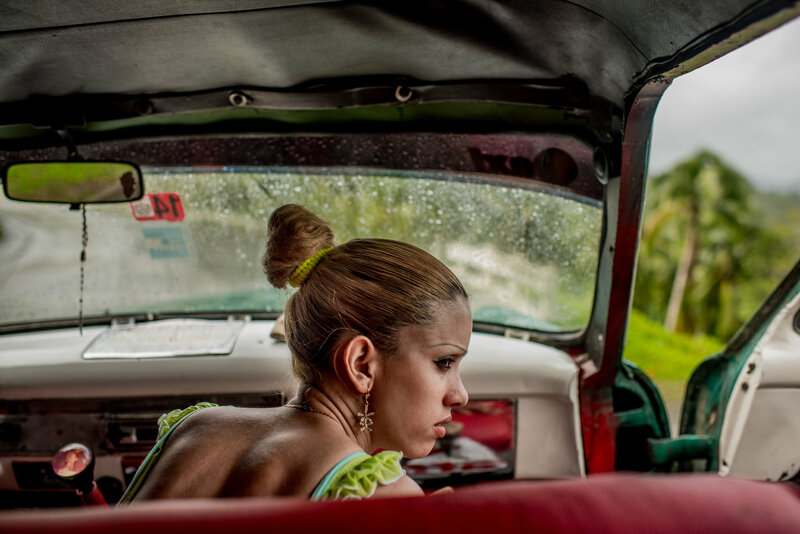 'Cuba on the Edge of Change'. The print media landscape in Australia has changed markedly over the last few months. At first, the changes were all pretty peripheral to my interests. With Bauer Media taking over the interests of ACP Magazines in Australia in 2012, low lying, low readership titles were the first to go. Then titles like Top Gear and lads magazine Zoo Weekly went. On a personal level, no great loss to me (but perhaps a gain to feminism and respectful relationships between men and women in the case of Zoo). Then Cleo ceased to be after forty or so years of being in print in Australia as of February this year. I have fond memories of my years as a Cleo reader in uni (and before then, the issues I sneakily caught up with at work). But yes, just fond memories of a different era both of my life and in the media. Celebrity, fashion and make up news seemed to move so slowly back then. You'd only have to read a magazine a week (if you were truly obsessed and then again, the same things had a habit of cropping up time and time again in the different Australian publications) to have some idea of what was going on. Then, the internet and social media exploded with the wide availability of smart phones and reasonable data plans. Celebrities communicated directly with their fan base, bloggers began to give you the low down on practically any fashion or beauty trend you might be pondering and YouTube gave us doable tutorials on everything that were created by relatable, everyday people just like us (but different because they had better clothes and makeup than us). So as the way this kind of news has been delivered to us and the fact that you can find most of it for free off the internet made magazines like Cleo redundant. I get that and no hard feelings but thanks for the memories. But now, the cost cutting and centralising of material in print media has hit a nerve. Fairfax Media recently announced plans to cut 120 editorial jobs that would affect newspapers such as The Sydney Morning Herald, The Age and The Australian Financial Review. Newspapers I read on a daily basis. Newspapers that contain articles I often read and reference in my blog posts. I guess the writing's been on the wall for a while now. Cut backs in the glossy supplements that used to bring a little style to the sofa as I lounged back on it to read the weekend paper. A less than functional smart phone app for the SMH that's been promising a new and improved user interface for months now. Phone calls from the subscriptions department when I forgot to restart my electronic subscription when I moved house. Firewalls blocking the odd article I try to read from The Australian when I click links from Facebook posts. Declining readership and subscription figures eat into budgets which then affects the quality and scope of what a newspaper can deliver to its readers. It's all left me a bit underwhelmed about newspapers in our country. On the one hand I understand that newspapers are a business and as such need to turn in a profit. But the internet has made so much information available to me free of charge. I'm comfortable with paying for electronic subscriptions for a couple of newspapers but it does start adding up beyond this. I'm still a loyal subscriber to The SMH and I hope to one day introduce Preschooler SSG to the simple pleasure of being able to read the paper in the morning over breakfast (probably from an iPad rather than from a print copy) as we get ready for the day ahead but gee, moving, eloquent articles accompanied by breath taking photos are thin on the ground these days. You know those articles that take you to another world, deep into its people, their thoughts and how it is to live as they do? Which is when I started clicking on my New York Times app button on my iPad more frequently than usual. 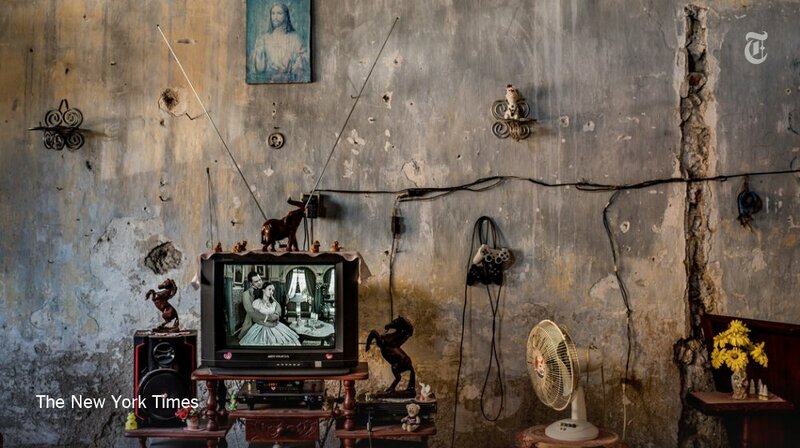 Which in turn rewarded me with this stunning photo essay, Cuba on the Edge of Change. The text is by Azam Ahmed, a foreign correspondent with the New York Times who is based in Kabul, Afghanistan. Unfortunately, I could find no specific attributions for the stunning photographs that accompanied Ahmed's words. The image above was the lead photo for the essay. The vividly coloured but ancient car. the young woman who looks aged beyond her years, deep in thought about just surviving in her achingly beautiful country where everything just takes forever to happen if it hasn't already fallen apart. 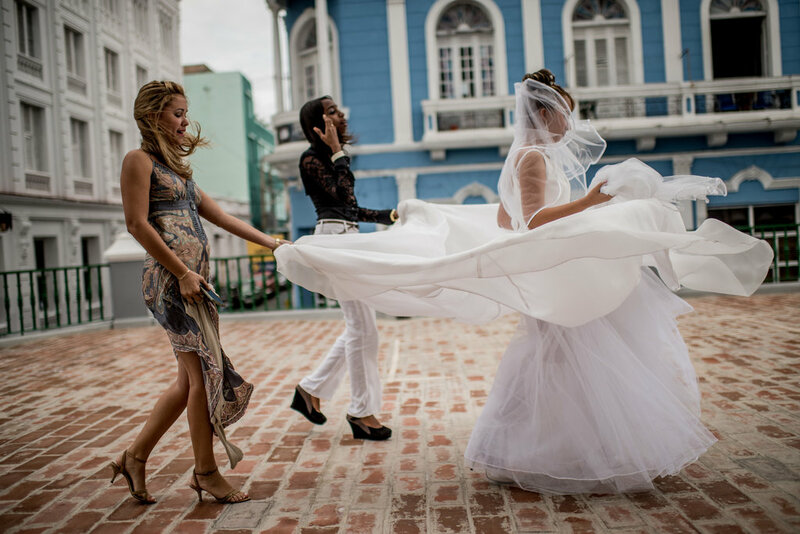 I am woefully ignorant of the history of Cuba and I haven't visited the country myself but the photos made me look and the prose made me stay. How do you feel about the state of newspapers and the print media in Australia? How do you imagine the job cuts at Fairfax will shape local newspapers? Do you subscribe to any foreign newspapers? Have you been reading them more diligently now in the wake of the changes Australian newspapers? Or is it a case of the grass being greener? If you're a reader from outside of Australia, has anything changed much for your local newspapers? I used to read NYT on my ipad but stopped when it was no longer free. Mind you I'm now buying the odd woman & home on my ipad. Perhaps I should download the Sunday times at the weekend. It sounds so civilised. That does sound like a civilised reading list - Woman and Home and the Sunday Times. I quit buying magazines long ago, which means my knowledge of celebrity culture is lacking. I read the age daily on my mobile. I agree it has been going downhill for a while- the writing fails to move me, however perhaps this is the overload of news we get from tv and radio. True, I seem to get all my news from the radio or twitter these days. Celebrity or otherwise. I subscribe and read many all over. When I want impartial news on the world with just facts and no agenda I go to nhk. The English version. It makes you realise how frantic and skewed the western media is however impartial it tries to be.